It is high time politicians gave confidence to our farmers by investing in agricultural infrastructure and ensured a fair price for their produce. The income support scheme in the ‘interim budget’ can give ‘interim relief’ to the farmers, but cannot provide a sustainable solution to unfair price related problems in the agricultural sector. The budget statement proposed Rs 6,000 per annum for farmers with less than five acres, under ‘Kisan Samman Nidhi’ (Farmer Honour Fund). The budget lacks focus on improving agricultural infrastructure to reduce the fixed cost of cultivation. An abundance of food has pushed the agricultural sector away from policy and budgetary priorities in recent times. Many scholars equate farm subsidies to wasteful and populist investment in India. Others advocate migration of the population employed in farming to other industries. Another set of scholars support the public investment in mass-based agriculture system, not only for farmers’ welfare and food security, but also economy-wide growth resulting from enhanced purchasing power. 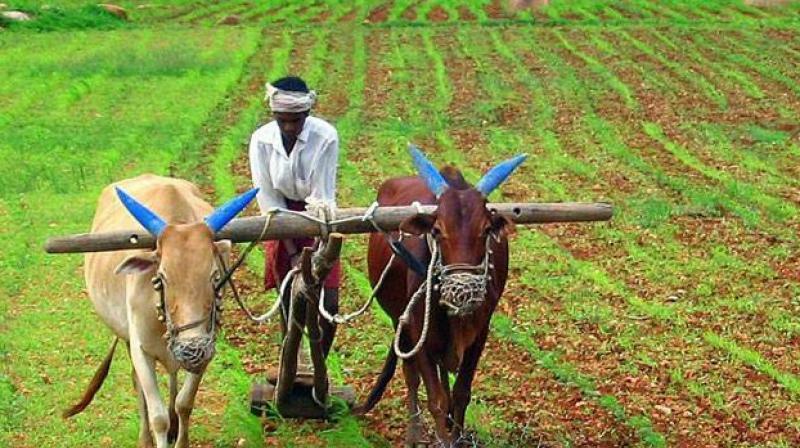 Perpetual ‘stress’ in the sector is a cause of concern at the macro level for policy makers, and it has turned suicidal at the micro level for farmers. It is important to examine the policy bottlenecks and possible solutions for the sector. The aim of doubling farmers’ income is timely and in the right direction, but the step has not given the required importance to ‘price realisation’, which is the most significant component of farmers’ income. The price realisation of a farmer is important not only from enhanced income perspective, but it is also the key to re-investing in agriculture. V.P.S. Arora argued that the main objective of the Indian government’s agriculture-price-policy is to protect both producers and consumers. In India, today, the price of 23 crops is managed through the ‘Commission for Agricultural Costs and Prices’ (CACP), which is envisioned to bring a fair pricing structure, considering the ‘cost of cultivation’ of major crops. CACP also considers other factors such as domestic and international demand and supply; it also incentivises the resource conservation in cultivation. Many scholars have pointed towards the lack of efficacy of the CACP while deciding prices. In a report to measure the efficacy of MSPs, the NITI Aayog found that a low proportion of surveyed farmers (10%) were aware of it before the sowing season. 62% of the farmers were informed of MSPs after sowing their crops. The effectiveness of MSP comes down if the farmers are not taking production decisions accordingly. In an empirical study to gauge the contribution of Rashtriya Krishi Vikas Yojna (RKVY), this author found that farmers and agriculture officers perceive ‘price’ as the most important factor of farm-competitiveness, which doesn’t find place in targets of RKVY. The main policy bottleneck while seeking solutions to farm crisis is the exclusion of ‘price’ at the execution level of agricultural policy schemes. The agricultural pricing policy needs to be reviewed to ensure that farmers are receiving fair prices for their produce. One of the measures recommended, is a price deficiency system. Under this system, farmers would be compensated for farm commodities if the prices fall under a specified threshold. It is being implemented in Madhya Pradesh under the name of ‘Bhawantar Yojna’; results of which are not very positive due to a cartel of middlemen sitting at local agriculture markets. The Swaminathan Commission – after a thorough research – recommended a formula: MSP should be at least 50% more than the weighted average cost of production. Most of the cash crops are not fetching prices according to this formula in India today. Also, the current government has excluded rent of land in MSP calculations, which has become an obstacle in fair pricing – especially when the same government encourages leasing of land to leverage economy of scale in farming. The critics of public subsidies are not convinced about the potential of agriculture as a viable business. They indicate rampant corruption and ill-targeted expenditure without expected return on investment. Measures like direct benefit transfers have increased the accuracy of selecting the right beneficiary to a certain level, but the inefficiencies of agricultural subsidies continues to remain a concern. Accommodating both, the concern of welfare and efficiency, a policy directed at sustainable farming is the need of the hour. One potential solution is directing most of subsidies in ‘fixed costs’ instead of ‘variable costs’ of cultivation – which would minimise leakages and help in developing agricultural infrastructure. For example, investments in underground pipelines for irrigation would give more returns than subsidising seeds (for which private sector is competitive enough). It is empirically evident from primary research by this author that farmers value public investment in the irrigation over seeds. A highly commercialised agri-value chain is established around farm-inputs and farm-outputs, yet ‘agribusiness’ remains a cliché when it comes to small sized Indian farms. Growth of the food processing sector is 8.4%, which is more than double compared to its raw material provider i.e. agriculture (Economic Survey for 2013-14). For transit of agriculture to agribusiness, public investment in infrastructure like connecting roads, market yards, warehouses, irrigation ponds, processing units is crucial. Ignoring false bottlenecks is as important as focusing on the real ones. The large population engaged in agriculture is assumed to be a bottleneck without the existence of sufficient job opportunities in alternate sectors. Policy makers are considering an excessive population engaged in farming as the reason for small land holdings making farming economically unviable. India, a mass-based-agri-production-system, employs about 40% of the population. Seventy per cent of food and milk comes from small farms. India also ranks first in production of milk and pulses, second in rice, wheat, fruits and vegetables; and third in overall food grains. Why is this population of skilled manpower in agriculture not considered a competitive advantage by the policy makers? Citing mechanic calculations of economic formula, input (population) versus output (per cent contribution in GDP) in agriculture may not give the right picture of contribution of this sector. At a time when the population is increasing and cultivable land along with soil quality is decreasing, investing in the farm sector can provide a strategic advantage to India. In today’s India, politicising an issue is seen as manipulating it for selfish reasons. Agriculture is seen as a perpetually distressed sector, which remains a hot issue for opposition parties. However, in a representative democracy, politics is the only way to influence policy. Government data establishes that the average growth of the farm sector has decreased under Narendra Modi’s rule (2%) as compared to that of the Manmohan Singh’s (4%). Also, at the individual farm-level, profits have come down in many crops and loan liability has gone up. Could this distress turn into an anti-BJP vote bank in the upcoming general elections? The farmers in India have never been reported to vote strategically based on their profession. Agrarian demography of a village is very diverse in terms of caste, class, land ownership, crops grown. Nevertheless, in the recent times, the left affiliated ‘Kisan-Long-March’, Kairana by-polls and ‘Kisan Kranti Yatraare’ discussed among farmers and farm-labourers. The Swaminathan Report and MSP have become buzz words for political bargaining in rural India. Prime Minister Narendra Modi, a suave politician, understands the situation. The recent BJP convention passed a resolution on agriculture, describing it as a top-most priority. The aggressiveness of Rahul Gandhi on farmers’ issue puts him in the driving seat and he seems to be pulling the right levers. He pitched a farm-loan waiver while campaigning in five state elections and ultimately fulfilled the promise the three states where his party has won. He acknowledges that farm-loan waiver is just an interim step and vowed to work further on building sustainable infrastructure dedicated to the agriculture sector. It is interesting to see if the opposition parties could construct a narrative around solutions to farmers’ distress. It is high time politicians and policy makers gave confidence to our farmers by investing in agricultural infrastructure. Ensuring a fair price of produce for farmers will do away with the need for giving ‘interim relief’. Policies with measurable targets to improve market functioning can use the capability of millions of farmers to make farming a profession of profit and dignity. 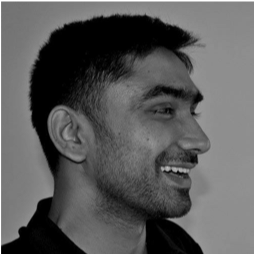 Vikas Singh is a PhD scholar from the Indian Institute of Plantation Management, Bangalore. His area of interest includes agricultural policies and political marketing.